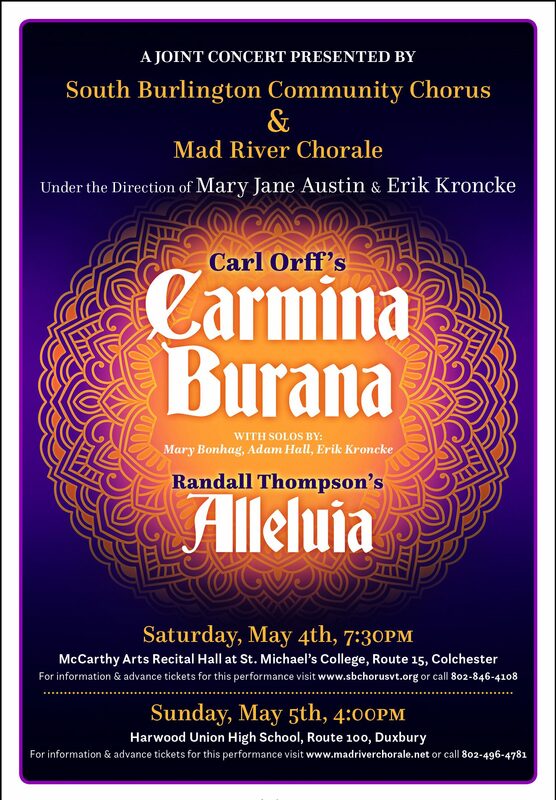 SATURDAY, May 4th 7:30 p.m.
Tickets are just $15 each! under 18 free! And are available from singers, or at the South Burlington Recreation & Parks Department at 575 Dorset Street, or online below. 2. Then adjust quantity in the Shopping Cart using the Update button. 3. You will receive an e-mail receipt. This will be your ticket -so please bring it with you. 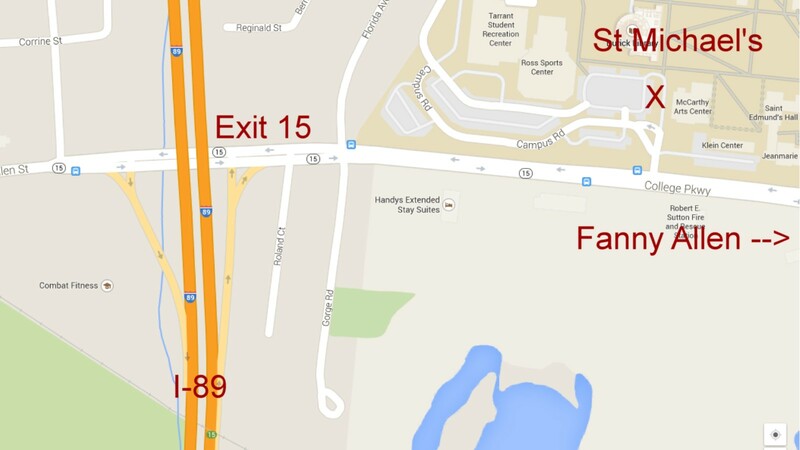 From the South – I-89, Exit 15, go Right onto Route 15/ College Parkway. Go about 1/3 mile, then turn left at the first traffic light over the top of the hill into Saint Michael’s campus. McCarthy Arts Center is on your right, and Parking on your left. From the North – I-89, Exit 16, turn Right onto merged US Routes 2 & 7, proceed down hill 1 mile into Winooski, then follow traffic circle 3/4 of the loop around onto Route 15 East. Continue Rt 15 up the hill under I-89, for approximately 1 mile. Turn left at the first traffic light over the top of the hill into Saint Michael’s campus. McCarthy Arts Center is on your right, and Parking on your left.